Is Cloud Computing More Important than BIM? Is focus upon the 3D component of BIM an unfortunate distraction? BIM, Building Information Modeling is the ability to create a dynamic information model of the built environment (above and below ground, inside and out, horizontal and vertical physical infrastructure) for use in all real property related activities: concept, rapid prototyping, planning, design, engineering, construction, physical and functional condition monitoring and management, financing, capital reinvestment, insurance, facility management, renovation, repair, sustainability, utilization, leasing, valuation, procurement, sale and decommissioning with appropriate shared, secure, and collaborative information access and use. The advent of Cloud Computing, combined with the cost to capture, store, and process information falling to near zero, is enabling new capabilities for secure, real-time collaboration. The altered world landscape relative to the built environment is upon us all. In addition to technology changes that are altering the ways we interact and conduct business on fundamental basis, there are economic and environmental imperatives. All of which lead to the AECOO (Architecture, Engineering, Construction, Operations and Owner) sector and its stakeholdings needing to collaborate to achieve better, quicker outcome, at less cost, and with less risk. 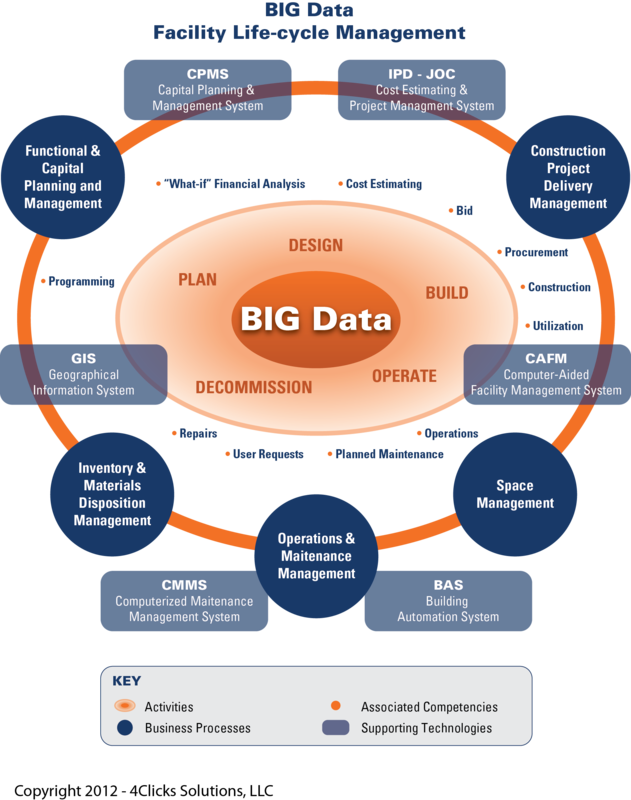 – The development of uniform standard process, terminology, and technology environments for the new BIG DATA world , encompassing all ‘built environment related knowledge domains, competencies, and activities. – Clear organization and classifications of information and associated access rights and rights to use, enabling appropriate, uniform basis intra and international use. – Workflow-based Cloud-computing services environments, and plug-ins that are vs. monolithic traditional software frameworks which are web enabled via virtual server, or even traditional 3-tier web applications such as .NET. 4-tier applications are needed with the ability to link and reuse information in any manner relative to identity/location, building, area, floor, room, occupancy, use, physical and functional conditions, standardized and actual costs (material, equipment, and labor), et al… – to provide common ‘highly secure’ models for short and long term decision support. – The acceptance and increased use of collaborative construction delivery methods such as Integrated Project Delivery (IPD) and Job Order Contracting (JOC). The latter a form of IPD specifically targeting facility renovation, repair, sustainability, and minor new construction projects. – AUTHENTICATION, ACCESS CONTROL, COLLABORATION, AND STANDARDS … 4Clicks Solutions is about to release a powerful new Cloud Computing solution called CEASEL. It focuses upon transparent construction cost estimating and efficient project delivery. Each user to controls their own ‘domain’ and access policies (ie ‘who’ can access ‘what’ data, ‘when’ and ‘how’ ). Data in NEVER deleted and ALL user access and activities are tracked.. .the best form of security. “Data independency” and appropriate access for all asset owners, managers, and service providers is supported. Project development time is reduced because users don’t need to create an identity store and access control system for each project, and projects, estimates, etc. can easily be updated and re-used. New authentication methods or new kinds of user credentials can be adopted by upgrading just the authentication service. Associated contracts, projects, and estimates don’t need to be re-coded. Changes to access control policy can be made quicker and more easily because it is consolidated in the one place. Dedicated and focused security service leads to better overall security – compared with each organization having a part-time resource for security management. Security improvements benefit all projects at the same time. Less time and effort is devoted to security administration as administrators only need to understand and use one security framework rather than a different one for each project. Errors are reduced because there is no duplication of identity data and access control policy.A unified view of identity and access control policy is achieved for each user, without breaching the security of other users. Simplified , auditing and reporting. If you are interesting in being a pilot user of this new capability, please contact me directly. 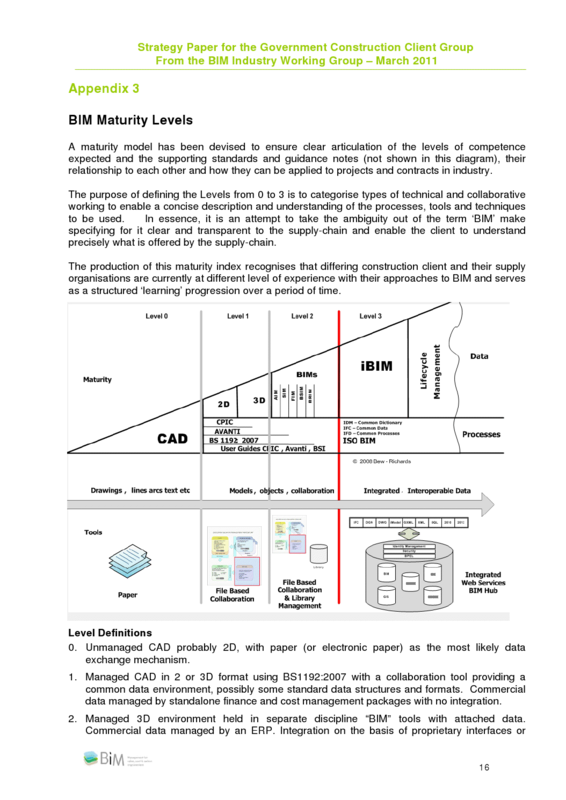 Below is a representation of the various “levels of BIM”. 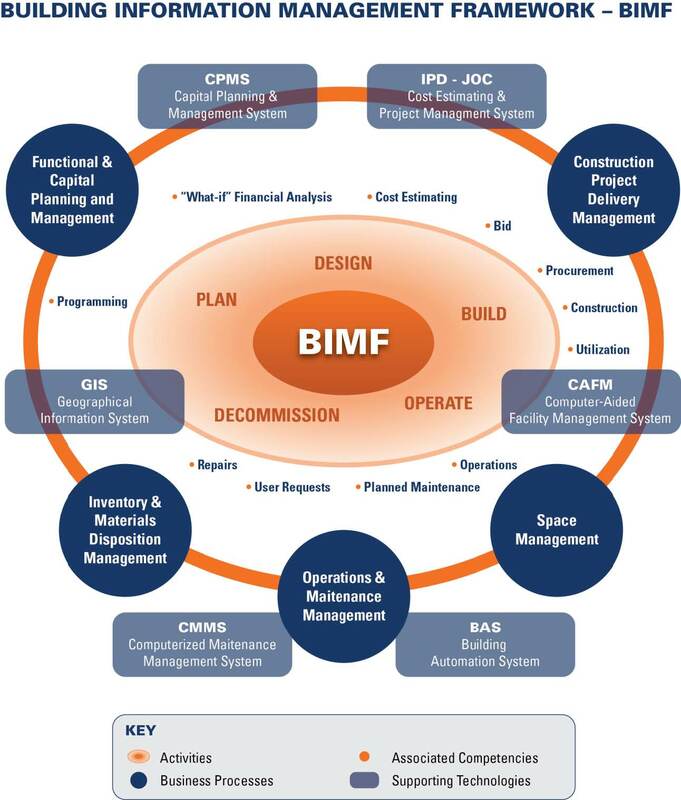 That said, I don’t consider BIM to be anything but ” the life-cycle management of buildings supported by technology”.